Holy ashfjksahfkdfhja. This is Robo-Croc. He's built with a pair of metal rods that run down his face, and over forty screws are bolted to his head holding his jaw and skull together. 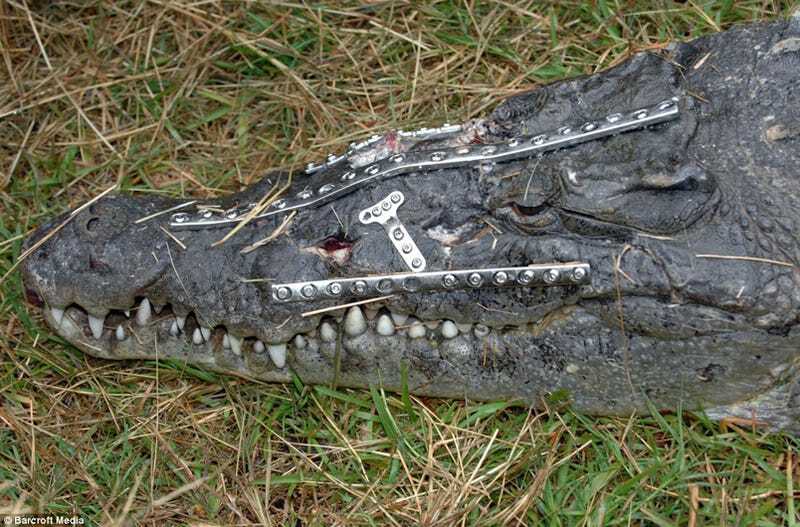 Surgeons were forced to construct the biotechnological terror now known as Robo-Croc after a car crushed his formerly ordinary-but-endangered crocodile head last year. He's not eaten in three months. They're hoping that by reinforcing his snout and reconstructing his head and face with a similar texture, they can get him to eat again.